Shannon was born in Thermopolis a few minutes after the birth of her twin sister, Sheilah Marie, on Oct. 3, 1956 to Alfred T. “Tom” Graham, Jr. and Sharon Lee Crouch Graham. She lived in Thermopolis until the family moved to Denver in 1969. She attended high school in Denver and later attended Western Wyoming College in Rock Springs. Shannon was a kind and gentle soul. She was happiest when she was with family and friends. She especially enjoyed spending time with her sister, Sheilah, and her grandparents, Alfred T. “Lefty” and Ada (Little) Graham and Phil and Annabelle (Toth) Crouch. She never met a stranger and always thought the very best of everyone whose lives crossed her path. 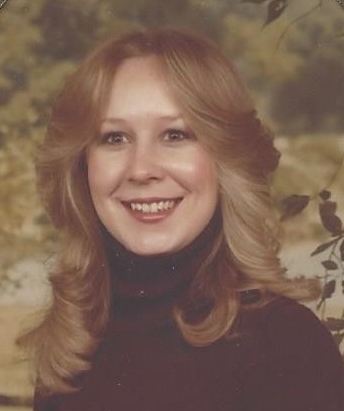 Shannon was eternally grateful to her cousin, Linda Jacobs Abel; her neighbors Shane and Daleen Anderson and family; and her other neighbors and friends in Worland who helped her with day-to-day tasks. The family extends sincere gratitude to everyone who contributed in any way to make Shannon’s life easier or better, including the doctors who cared for her. She was preceded in death by her mother, Sharon Sanders; grandparents; and uncle Joe Graham. She is survived by her identical twin sister, Sheilah Graham of Lakewood, Colorado; sister Gayle Graham of Colorado Springs; father, A. T. “Tom” Graham of Casper; aunts Ann (Marvin) Robinson of Casper and Mary Ann (Gary) Keil of Rawlins; uncle Philip (Dolores) Crouch of Aurora; niece Annie (Brian) Kurtz and nephews Michael Schepers of Colorado Springs and Jamie Shrader of Denver; three grand-nieces, Emma, Ashley and Kiley Kurtz; one grand-nephew Sean Schepers; and numerous cousins.